Topic 1: Digital Visitors or Residents? Interesting Facts: Around 40% of the world population has an internet connection today and just 10 years ago in 1995, it was less than 1%. 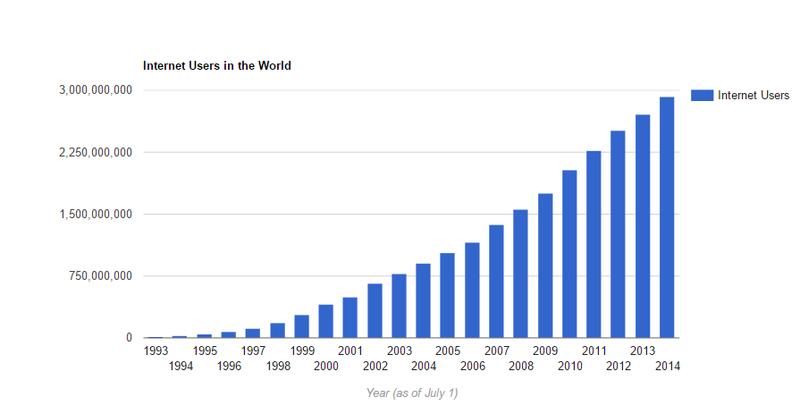 Within two decades, the amount of internet users had increased tremendously. This aim of this post is to encourage everyone to take a step back and evaluate the role of internet in our individual life which is heavily associated with our topic of the day: Are you a digital visitor or resident? 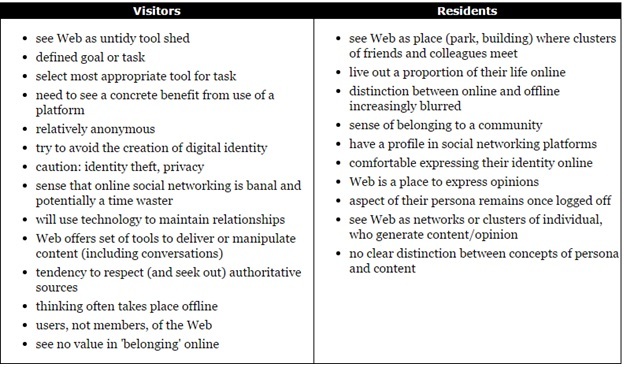 David S. White and Alison Le Cornu (2011) proposed the Digital “Visitors and Residents” theory as an alternative framework to address the critiques of Marc Prensky’s (2001) scaffold of Digital Natives and Immigrants theory with the intentions to adapt to the fast moving internet trends and re-evaluating based on the increased understanding of relevant field. 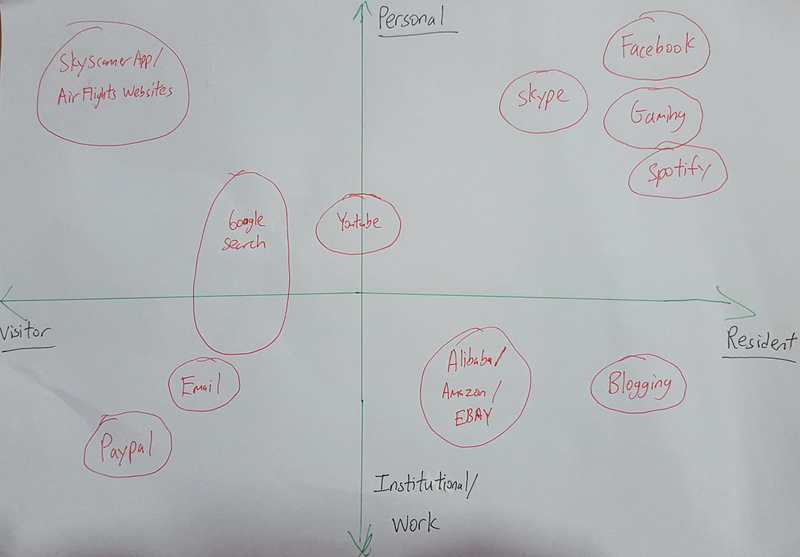 As a form of self-assessment, I had sketched a Visitor-Resident Map to realise that I am only a digital resident to a certain extent despite spending around a quarter of my life on the internet daily. The web is not just a place for me to socialize but to utilize and handle my institution needs as well as job scope requirements! My sincere apologies for the illegibility, I would be drafting a second version soon. This is justified further as mentioned by David S. White and Alison Le Cornu: Individuals move around the box, sometimes functioning more as Visitors, sometimes more as Residents, according to their motivation. Majority of the internet users in the world belong in the box just like myself as the web had grown and developed into a stage that it is too important to be removed entirely from our life. Dear readers, what motivates you to be one of the billions today to be on the internet as of now? An awesome introduction you have there! I love the way you start the post by sharing with us about the statistics, reminding me of how Internet is playing a huge role in our lives now compared to the past. After taking a look at the table of comparisons between “Visitors” and “Residents”, it helped me to understand the difference between the two better. However, I know that some of us have the habit of refreshing newsfeed due to boredom, and not comment on anything. Do you think that this habit makes you a digital resident or digital visitor? Also, in my opinion, I think one thing that motivates me to be on the Internet is the knowledge and convenience. I believe that the knowledge you gained online is much more than reading a book or a magazine. Because of the users in the digital world, there are more perceptions of what people think and it allow me to think through them. 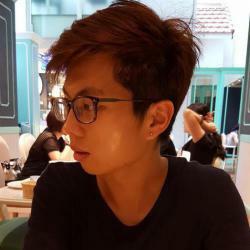 Since Internet is almost everywhere now, it can help me clarify my doubts anytime I want. I don’t have to go down to the library and read through tons of books. I’m not sure if you will agree with me but this is what I think!